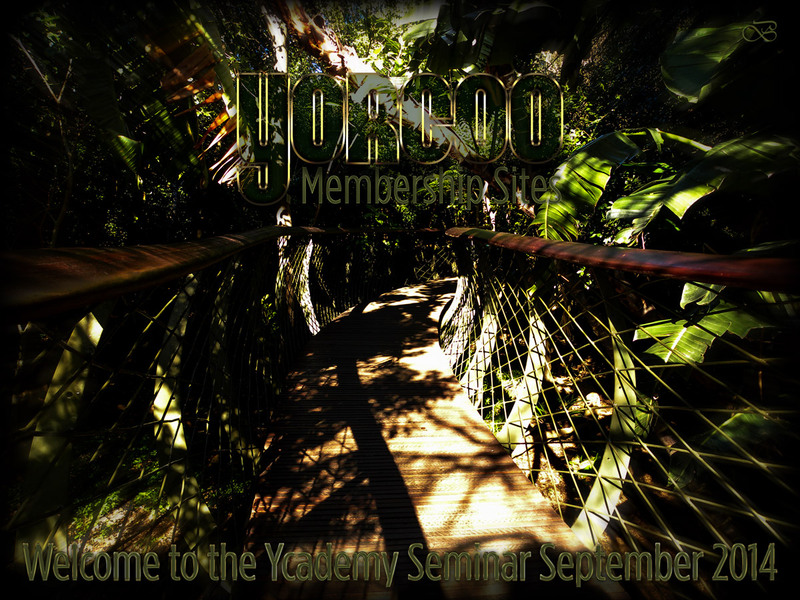 The past Ycademy Seminar September 2014 focused on an exciting topic: Socializing and Community building with YORGOO! In other words: how to build a Membership site, how to build a mini Social Network, how to create an Affiliate Program, your own Directories, eNewsletters and Educational Programs – just to mention a few options! All this will be possible with YORGOO – once it goes live! What does it mean to have your own Membership site (based on Buddy Press) on YORGOO as taught at the Ycademy Seminar September 2014? It means that you – as the website owner – are in a position to create your own community where you can interact with your members (i.e. users) from the privacy of your site admin dashboard. Further to this, the users can communicate via Message boards, where they may post messages or reply to topics of interest. Of course, newsletters or messages can be sent out to community members, who are able to easily send messages to other community members – all of which is easily managed by means of simple tools. While giving its future members the possibility to start ‘small’ by having just the most important in terms of online presence – meaning a clean and efficient website in a very safe environment and 100% under your own control and branding (yes, you add your own domain name via domain mapping, meaning it’s all ‘your own’ and SEO efficient), there are many different levels of sophistication, including a shop, of course, on which we did not touch this time, but it’s all beautifully integrated if needed – so easy to start and to grow, with an expert team to assist or create whatever you imagine, and – best of all – no hassles on the server. It’s all in good hands so you can focus on what you want to do: write, blog, communicate, sell! 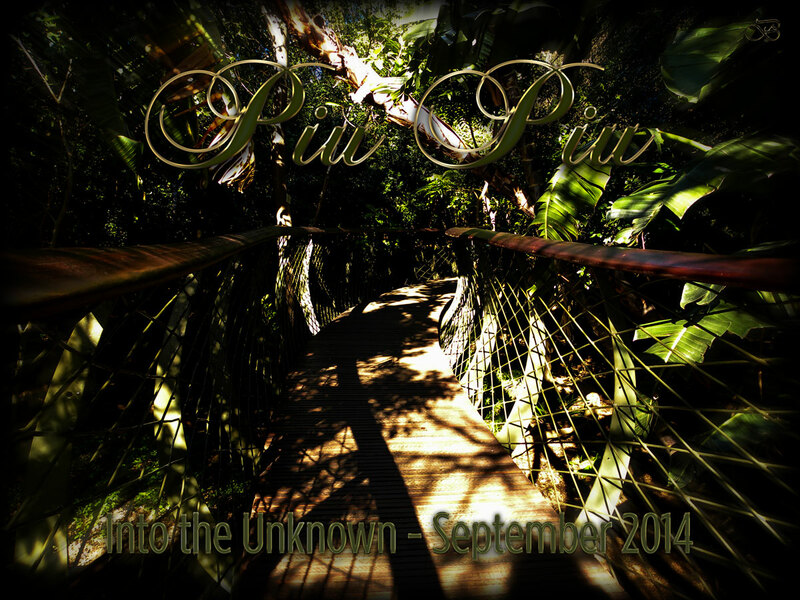 Just as Piu Piu chose her path into the Unknown, this month of September 2014 will lead me to new horizons! I thought the picture of the brand-new ‘boomslang’ that snakes through a magnificent canopy of luscious trees and strelitzias in Kirstenbosch Botanical Gardens, at times offering magnificent free vistas across the city, illustrates this thought and the emotions that go with it, in a perfect way! Yay! And spring is here with sunshine, blossoms and butterflies – my favourite time of the year! Children love this lofty path as it swings adventurously, depending on how many people are passing at any given moment in time… so that’s the way I’ll take it, too – excited to have come to this point after so much work (and still going), but curious, expectantly, and open to all good things that certainly are waiting… at the other end of the… boomslang! Piu Piu, the Novel, targets the Young Adult market where it will most probably be classified as Adventure Fiction. Which doesn’t mean it’s not for adults with a love for Nature and interested in a deeper sense of being – because it is… especially if young, wild and open at heart! Leave a comment, please, if you are interested!